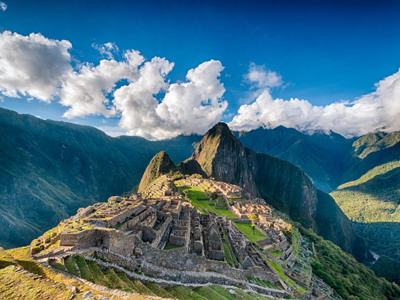 Pack your bags and get ready to experience the best of Peru! This journey begins in Lake Titicaca, to learn about the community's unique geography and agricultural methods. After absorbing the rich colonial history of Cusco, you will head off to the striking mountain scenery of the Sacred Valley. A winding train ride along the Urubamba River will lead you to the ancient citadel of Machu Picchu. Spend the next two days exploring the enchanting ruins, with the extraordinary opportunity to trek to the peak of Huayna Picchu. Following a quick night back in Cusco, it's off to the wild wonders of the Amazon Rainforest. Observe the exotic wildlife, walk among the treetops and glide through the waters by canoe, for the perfect ending to the perfect trip! Puno is a sprawling city of humble buildings, known best as the primary transit point en route to Lake Titicaca. Rich in history, tradition, craft and skill, there is no where else in the world like Lake Titicaca. The infinite skies are mirrored in the deep blue shades of the lake, and the horizon seems to bend, as if it’s the edge of the Earth. The lovely local people descend from ancient Andean ethnic groups, the Aymara and Quechua. The floating islands of the Uros Indians feature one of the area's most fascinating treasures, built by layers of tortora reeds, a prolific plant that grows in the shallows of the lake. Mysterious Inca burial tombs that circle the lake also entice travelers, as well as the impressive variety of high altitude bird species that can be identified in the National Reserve. Early this morning, you will depart on an interactive and cultural experience. First, you will embark on a boat excursion on Lake Titicaca to visit the Uros Indians. These local inhabitants built their homes on “floating islands” of totora reeds and are well recognized for their boats made of the same material. After an early breakfast this morning, you will be transferred from your hotel to the local bus station in good time to board the comfortable tourist bus to Cusco. This eight hour transfer will take you traveling across the high plain of the 'altiplano', which is notably one of the most spectacular bus journeys in the world. Throughout the entire ride you can look out the window and marvel at the splendid views of Andean peaks. In order to break up the journey and make it worth your while, you will stop off at a number of fascinating sites along the way. From archaeological sites and the impressive Inca ruins of Rachi and Pucara, to the church at Andahuaylillas with its amazing 17th century paintings, you won't miss out on a thing! There are also fantastic geographical highlights, such as the high pass of La Raya, where you can admire panoramic views of the lovely snow-capped Andean peaks. The high grassland at this pass is home to all the camel-like creatures of Latin America - namely llamas, alpacas and vicunas. En route, you will also stop to visit an inn, where you will enjoy a filling buffet lunch that is included in the journey. Enjoy this morning free to spend as you wish, before your afternoon excursion. Today, you will be taken on a half day group guided tour of the city, including some of the nearby Inca ruin sites. Cusco is a city with a wealth of history and splendor. As you wander through the streets, you will be guided through centuries of traditional culture and unique architecture. There is something to be admired in every direction you look, and a story to be told at every street corner. During your exploration, you will have the opportunity to discover the many highlights and hidden gems of Cusco. Although the modern travelers and vibrant night life can now be recognized in the city, Cusco is still known for its indigenous population--often seen on the streets in traditional clothing, maintaining it's colonial charm. 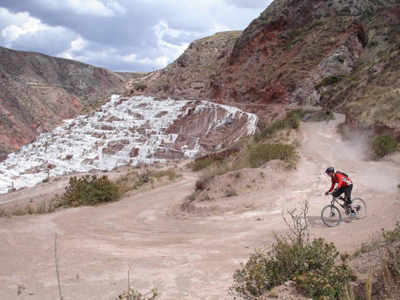 This morning, you will be met by your cycling guide for your private Maras and Moray mountain biking tour! You will be transferred from your hotel in Cusco to the community of Chequerec (Chinchero), where you will begin your adventure on bicycles! 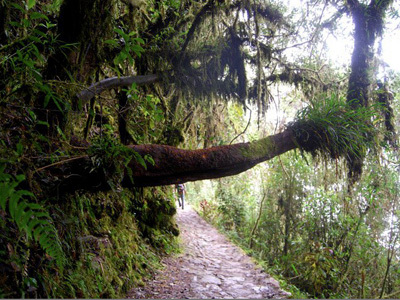 Kicking off, you will make your way around Huaypo lake, towards the archaeological group of Moray. Today you will board the train to Machu Picchu. On arrival, enjoy a morning visit to the fabled ruins, spending the day in both guided and individual exploration. Following your tour, you may wish to investigate Machu Picchu’s multitude of hidden nooks and corners on your own, getting lost in years of history and wonder. A delicious lunch will be served today at the famed Machu Picchu Sanctuary Lodge. Return to Machu Picchu today and spend the day in individual exploration (guide service not included), visiting features of the ruins that you may have missed yesterday. You will be provided with shuttle transfers to and from the ruins, as well entrance fees to Machu Picchu for this excursion. You will also have the opportunity to climb Huayna Picchu Mountain. This two hour round trip trek is not an easy feat, so come prepared for a steep and quite demanding route. However, as you reach the top and catch the first glimpse of the breathtaking aerial views from above the ruins, it will quickly make every grueling step of the journey beyond worth it. Entrance tickets for this climb have been included with your tour. 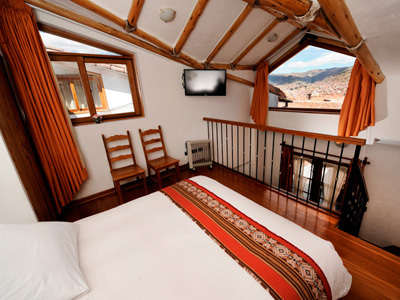 After your exploration, you will board the Vistadome train onward to Cusco. Upon arrival at the Puerto Maldonado Airport, you will be greeted by a local representative and transferred to La Hacienda Concepcion Lodge, visiting the Inkaterra Butterfly House in Tambopata en route. Soak up the enchantment of the rainforest, as you board a 25 minute boat ride along the Madre de Dios River. Upon arrival at the lodge, settle into your beautiful cabana and enjoy a fresh lunch served in the dining room. After lunch, your Amazon adventure truly begins! Choose between a variety of activities to get started. You can take a walk along the Concepcion Nature Trail on property, where you will learn about primary and secondary rainforest, its components, uses, and its relevance for the world. Later this afternoon, we recommend the Twilight River excursion. On this guided boat ride, you will witness the captivating transformation, as the rainforest converts into a thriving nocturnal environment. Keep your eyes out for nightjars, owls, capybara and caiman, learn about their habits and share the surrounding paradise. On a clear night, the stars of the southern hemisphere seem to stretch on endlessly, against the deep black sky. New experiences are ahead, and after enjoying a nutritious breakfast, get ready for a long trek into the Tambopata National Reserve towards Lake Sandoval. 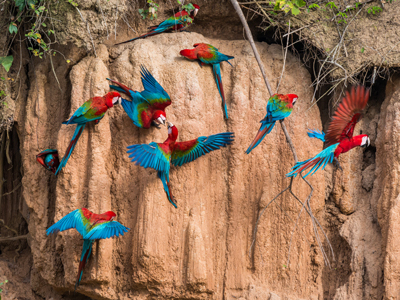 Here, you will understand why Madre de Dios is called the biodiversity capital of Peru, while learning about the Reserve’s conservation efforts and the lake’s formation. Navigate by dugout canoe, across this mirror-like oxbow lake, that is home to the endangered giant river otter, blue and yellow macaw, red howler monkey, black caiman, and one of the world’s biggest fresh water scaled fish, the paiche. You will return back to the lodge for lunch in the midday. 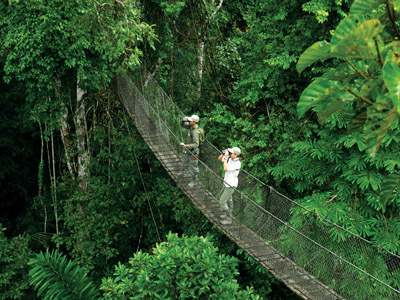 Afterwards, head back out to enjoy the Inkaterra Canopy Walkway & Anaconda. 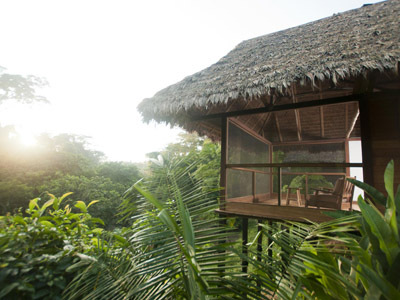 Take a 20 minute ride by outboard motorized canoe to the Inkaterra Canopy Walkway Interpretation Center, where you will learn about it's construction and the conservation projects of ITA-Inkaterra Asociación (NGO). Ascend one of the two 98-foot towers and cross the 7 hanging bridges that connect the treetops at 91 feet high! Enjoy the breathtaking views and embrace the chance to watch white-throated toucans, woodpeckers, trogons, squirrel monkeys and the three-toed sloth. After descending, continue to savor the energy of the incredible primary rainforest, going along the 200 meter wooden bridge over the swamps. You will learn about the fauna and flora of this flooded ecosystem, as you go. The elegant Casa Andina Premium Puno offers a Lake Titicaca experience at its finest. Idyllically located on the shores of the lake, you are invited to savor unparalleled views. This boutique property boasts only 45 rooms, promising an experience that is intimate and peaceful. Facilities include complimentary WiFi, a restaurant, lobby bar, room service and concierge access. Whether you are sitting down to a delicious meal of traditional gourmet cuisine, or waking up to the brisk air and sweet silence from your balcony in the morning, Casa Andina Premium Puno makes sure you enjoy Lake Titicaca in all of its glory. Originally opened in 1925 under the name of hotel Santa Rosa, El Albergue is a beautiful and historic hotel property. It is located at the Ollantaytambo train station, just a little more than an hour away from Machu Picchu and the city of Cusco. With many activities in the area, you can keep busy during your stay visiting the Inca and Pre-Inca archaeological sights of Ollantaytambo, Pisaq and Moray, river rafting, mountain biking, and enjoying the beauty and culture of the Andes. Featuring only 16 rooms, special detail is given to each and every one, resulting in an elegantly rustic style. Beautiful gardens visited by hummingbirds are engulfed by the aroma of fuchsia, passionflower, peaches and avocado trees, which all adorn this early 20th century hotel. Step outside your door and catch the train to the spectacular ruins of Machu Picchu after your stay.